With a broad experience of classic, historic and vintage car sales, I have a clear knowledge of marketing these cars for sale worldwide, and have been doing so for the past 14 years. In 2004 I founded and directed www.ClassicCarsForSale.co.uk, which was sold in 2011 to Bauer Media, publishers Classic Cars / Classic Car Weekly / Practical Classics magazines. I commenced with The Autocar magazine in 1978, the world's oldest motoring magazine, and then built up & ran the ad dept of Practical Classics magazine, the UK's top DIY Classic car magazine . For 6 years I was then a Director of pre-1960 car magazine The Automobile, then 10 years at the Car dept of Robert Brooks Auctioneers, who in turn purchased Bonhams auctioneers in 2000. I left Bonhams Car dept as a consultant in 2004 and have been conducting classic, historic and vintage car sales ever since. Ferrari sports & racing cars were part of everyday life from my earliest days - red cars everywhere I looked, competition cars with Cambridge blue painted noses and blue tail, sometimes with a single blue roof stripe... They ran no less than five Ferrari 250GTOs in quick succession. It all started in 1953 with a C-type Jaguar followed by a 1955 short nose D-type Jaguar registered RRU 1, a Jaguar XKSS, an Aston DB3S and then the ex-Belgian team Ferrari 250 Testa Rossa, registered RU 8 as seen below. The apprentices in 1957 at F English Ford in Bournemouth pose for the Poole & Dorset Herald and a short article. RRU1 is the 1955 short nose D-type Jaguar and the 1956 Aston Martin DB3S is the very car from the 1956 film Checkpoint - starring Anthony Steel, Odile Versois, Stanley Baker, and James Robertson Justice. Alongside F English - the biggest Ford dealership in the UK on the south coast in Bournemouth - my father was partner there with lifelong friend Colonel Ronnie Hoare, CBE, the founder of Maranello Concessionaires, the UK's appointed Ferrari importers by Enzo Ferrari himself. Maranello Concessionaires commenced business from F English Bournemouth until 1966, using Ford service bays devoted to Ferrari maintenance. This accounts for a number of 'RU' locally registered Ferraris. 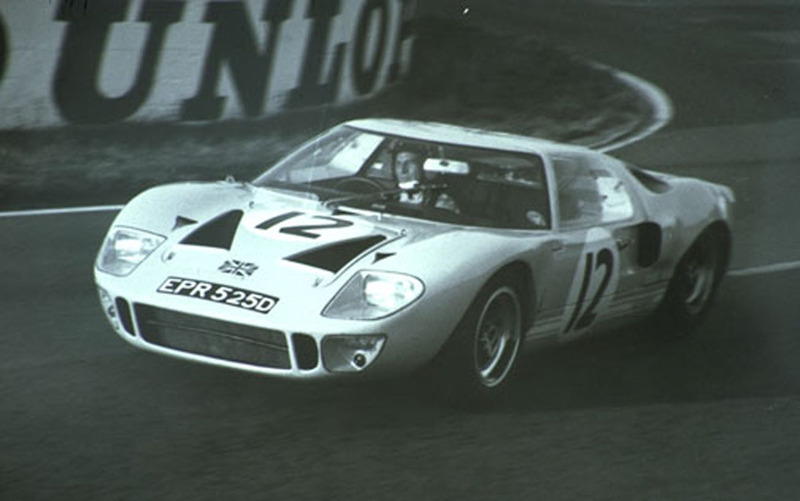 The Ford concern also entered anything from club circuit racing with race Cortinas & Escorts, to rallying, to racing two Ford GT40s, FEL 1C, and EPR 525D seen here at Le Mans with drivers Jochen Rindt and Innes Ireland in 1966. Le Mans June 1966 - drivers Jochen Rindt and Innes Ireland. EPR 525D - chassis number 1017. Finished 5th at Spa with Innes Ireland and Chris Amon, May 1966. 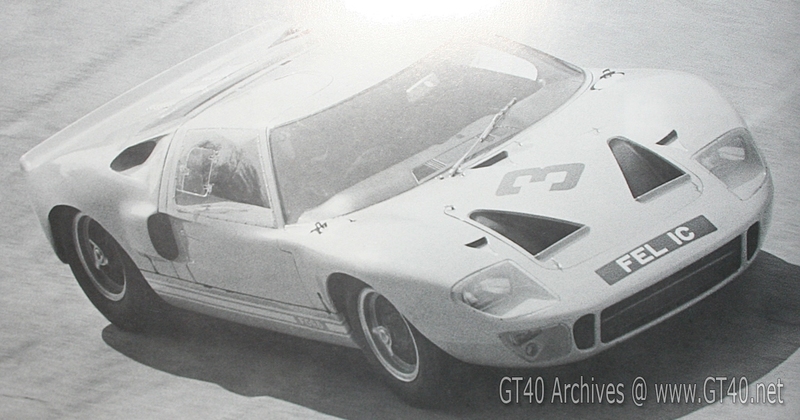 One of the most original of racing GT40s. Later owned by Ron Fry and then Nigel Moores. To sell cars the old adage that one had to race them rang true, and so an international Ferrari and Ford race programme took place from 1961-72 - using the world's very top drivers. 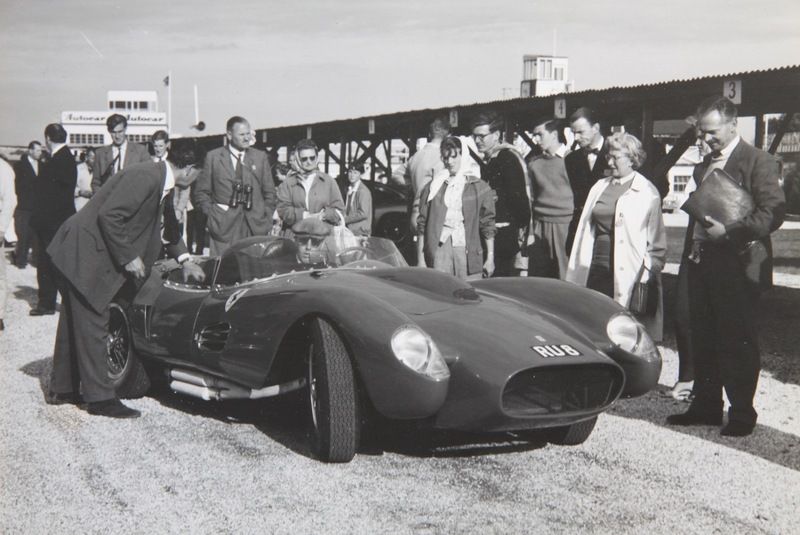 Ferraris were then sold to the rich and famous, including racer Tommy Sopwith, actor Peter Sellers and team racer Rob Walker - amongst a long list. 1963 Goodwood Tourist Trophy - the Goodwood TT - 1st and 2nd overall - both 250GTO Ferraris. Graham Hill seen here drifting to victory! Mike Parkes was 2nd overall. Two Ferrari 250SWB were run 7 times with 4 firsts, and coming 2nd in the Goodwood TT. Driver Mike Parkes. Three Ferrari 250GTO and one Dino 246SP. Ran 10 times with 8 firsts. Drivers Mike Parkes and John Surtees. Three Ferrari 250GTO (inc 2 new ones) Ferrari 330LM/B, Ferrari 330P and two Ferrari 250LM. Ran 21 times : in UK and now Europe, at Le Mans 24 (2nd), Reims 12 hours (1st), Monza (1st) , Montlhery (1st), Tour de France. 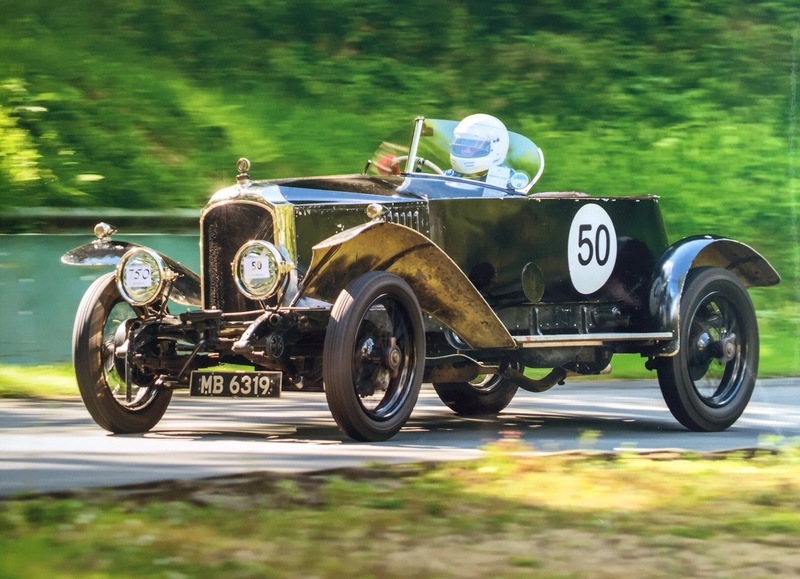 Goodwood TT (1st & 2nd). Drivers Graham Hill 1st and Mike Parkes 2nd. Ferrari 250GTO/64, Ferrari 330P and Ferrari 275P. Ran 5 times : Sebring, Florida 12 hours, Goodwood, Silverstone, Spa Belgium, and Nurburgring Germany - with three 1sts. Drivers Graham Hill, Jo Bonnier, Mike Parkes, Innes Ireland. Ferrari 330P, Ferrari 250GTO/64, Ferrari 275P2, Ferrari 365P2, Ferrari 250LM. Ran 7 times : Monza, Spa, Nurburgring, Le Mans, Reims 12 hours (2nd), Zeltweg Austria (2nd), Guards Trophy Brands Hatch. Drivers Jo Bonnier, David Piper, Innes Ireland, Mike Salmon, Mike Parkes, Graham Hill, Sir Jackie Stewart, Lucien Bianchi, Mike Salmon, John Surtees. Ferrari 206S (5 cars), Ferrari 365P2/3, Ferrari 275GTB. Ran 7 times : Monza, TT at Oulton Park, Spa 1000kms (6th / 1st class), Nurburgring 1000kms, Le Mans 24hrs (1st class), British GP (1st class), Guards Trophy Brands Hatch. Drivers R Attwood, David Piper, Mike Parkes, J Guichet, Mike Salmon, David Hobbs, R Pike, Piers Courage. Ferrari 206S 5 cars, Ferrari 365P2/3, Ferrari 275GTB. Ran 8 times : Spa 1000kms (3rd), Silverstone, Crystal Palace (2nd), Le Mans 24hrs, British GP (1st), BOAC 500 6 hours, Guards Trophy (3rd), Gold Cup Oulton (3rd). Drivers R Attwood, L Bianchi, Mike Parkes, Piers Courage, David Piper. 1972. Ferrari 365GTB/4. Le Mans 24hrs. Drivers Peter Westbury, John Hine. In alphabetical order, Richard Attwood (1996/7), Lorenzo Bandini (1963), Lucien Bianchi (1965, 1967), Jo Bonnier (1964/65), Piers Courage (1966/67), Richie Ginther (1964), Jean Guichet (1966), Graham Hill (1963/65), John Hine (1972), David Hobbs (1966), Innes Ireland (1964/65), Mike MacDowell (1963), Tony Maggs (1964), Mike Parkes (1961/67), Roy Pike (1966), David Piper (1964/67), Jochen Rindt (1967), Mike Salmon (1963, 1965/66), Roy Salvadori (1964), Ludovico Scarfiotti (1964), Jack Sears (1961, 1963), Jo Siffert (1964), Sir Jackie Stewart (1964/65), John Surtees (1962, 1965), Peter Westbury (1972). Supercars of other manufacture were purchased for analysing. For instance, the very first E-type Jaguar sold to a private customer 4774LJ was taken apart, scrutinised for race potential, then re-assembled and sold - in this case to motorcycle ace Mike Hailwood who later raced in Formula 5000 and Formula 1. This car is currently owned by Coldplay's bass guitarist Guy Berryman who is currently restoring the car. When the Lamborghini Miura was announced in 1965, the very first Miura in the UK was purchased for strip down analysis too. ...it was a fascinating first 18 years of my life. I still have the pre-production Ferrari 250LM Corgi model which Ronnie Hoare gave me following Corgi's visit to measure up one of the two Ferrari 250LM cars. I also possess a few Ferrari silk scarves direct from Enzo Ferrari's top drawer desk in his office - a personal touch which the Commendatore would give out to the ladies who visited the Maranello factory. 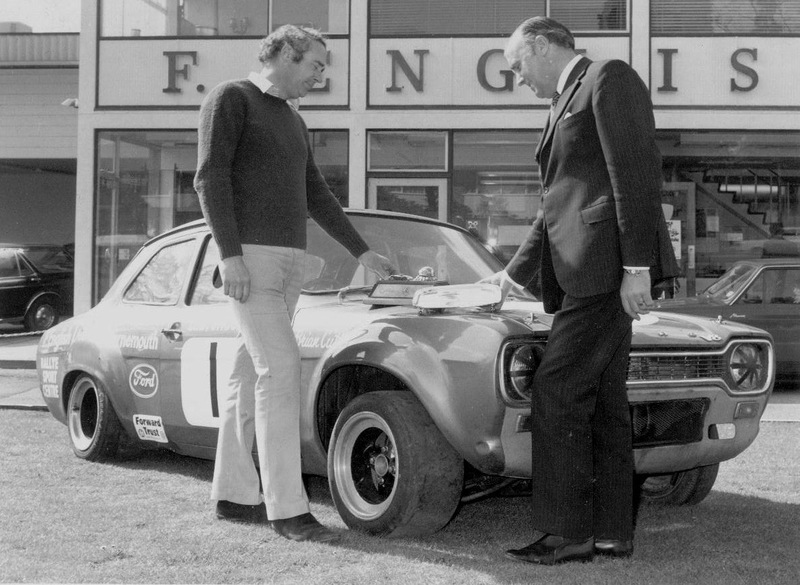 During 1970 F English Ford took up offshore powerboat racing after a few Ferraris were sold to powerboat racer and ex-car racer, Tommy Sopwith. After two seasons, Ronnie Hoare enlisted Don Shead, designer of the old boats that Tommy Sopwith sold to Ronnie, to race them, with property developer Harry Hyams also as crew. They came 2nd in the Class 1 Offshore world powerboat championships of 1973 with the 37' boat Unowot (ex-Sopwith's Enfield Avenger), finishing up in 1976 with Embassy cigarettes sponsorship, proving that top class powerboat racing was and is jolly expensive! With powerboat racing taking over and Ferrari sales taking off in the UK with the more affordable baby Dino 246GT, Maranello Concessionaires' 11 year international Ferrari race programme came to an end with the Ferrari 365GTB/4 Daytona at Le Mans in 1972. I use our 1924 Vauxhall 30-98 Wensum and Austin 7 in VSCC hillclimbs and sprints at Prescott, Shelsley, Wiscombe, Brooklands and Curborough. We also have cars from 1910s, 1920s, 1950s and 1960s, so a wide personal interest in Edwardian, vintage, historic, and classic cars.